Included in price: Free Taylor fitted archtop hardshell case. Free shipping USA & Canada. *FOR COLLECTOR’S: Comes with Collector’s Kit - includes original factory shipping box, Taylor’s “Wood & Steel” magazine introducing this limited edition series. All of the guitars in this series comes from a single tree which yielded 300 beautifully unique sets. 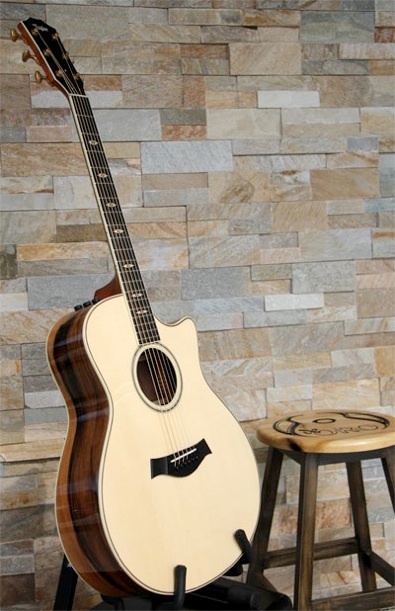 To match the ebony’s sonic characteristics, Taylor chose European spruce tops with Adirondack spruce bracing. “We wanted to make these guitars sound really luxurious and rich. European spruce has a strong attack with big headroom, but also with rich overtones. It produces thick, wide notes. Paired with the ebony, which also generates essentially the same effect, you’ll hear really rich, saturated notes. **All quotes from Andy Powers. 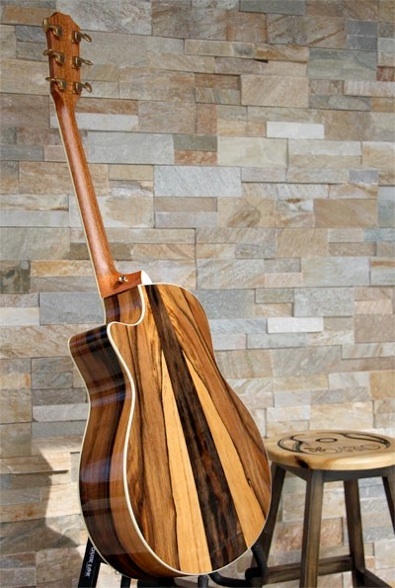 Taylor master luthier.